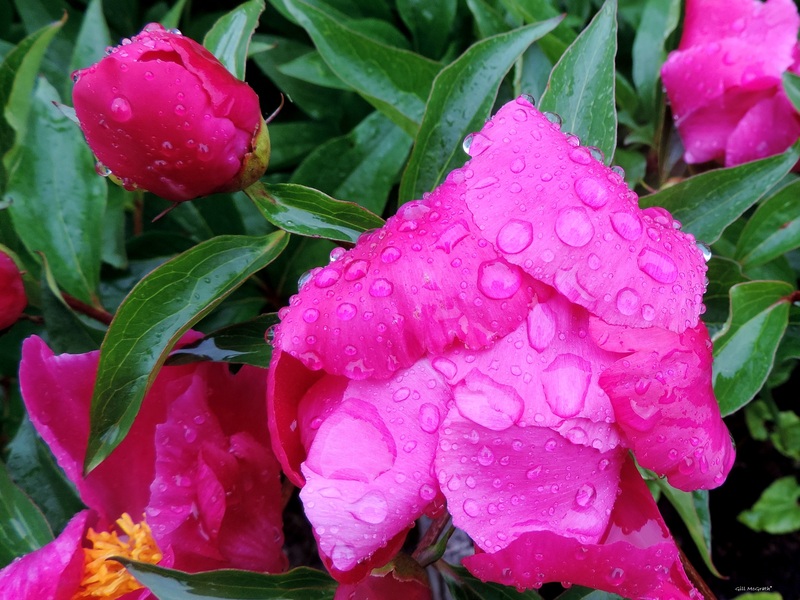 Peony Girls: Look fabulous drenched in rain! And they said they will stay like this until the sun shines again! Previous postThe sun at 7.02 am for 30 seconds today! Next postAt 18.45. after the rain. the sun…. So far only one of my peonies has popped it’s head out for a look. Just as well I suppose since someone has been in the night and cut off most of the buds leaving me about half a dozen to greet the sun when it comes back. Oh dear! That’s a shame that your peonies are having a bad time!. We have never had so many as this year. Lets hope the ones you have left will make it. Also hope the sun will show. up soon. It a bit too cold here!.